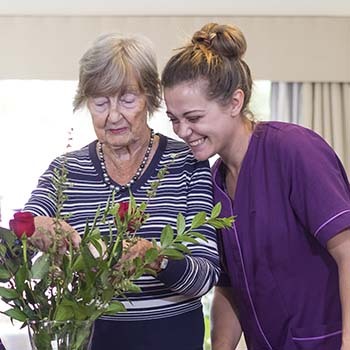 Choosing the right care home is an important decision, whether you are looking for yourself or a loved one, and it can feel like a daunting task. 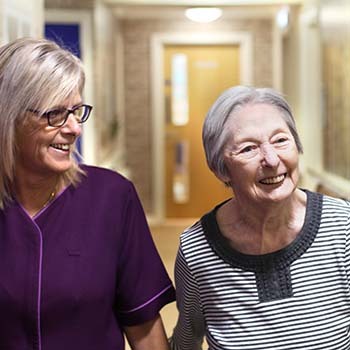 Anchor is an established and trusted care home provider with more than 100 care homes across England. We know that the need to find suitable care can come about quite suddenly, and knowing where you can turn for impartial guidance and advice can help you feel confident in your decision. 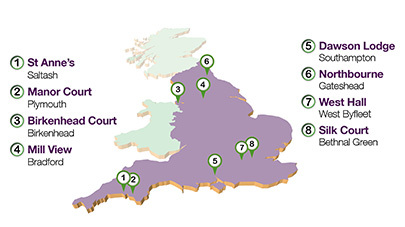 The Care Quality Commission (CQC) is the official independent regulator of health and social care providers in England. 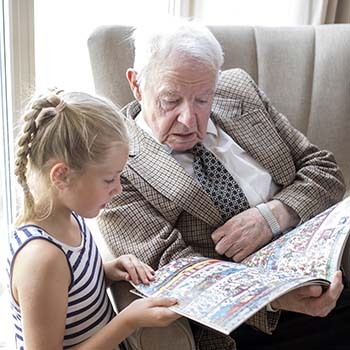 Its inspectors visit care homes to ensure that residents are offered the right standards of care, support and security, and publish their findings as ratings and reports. 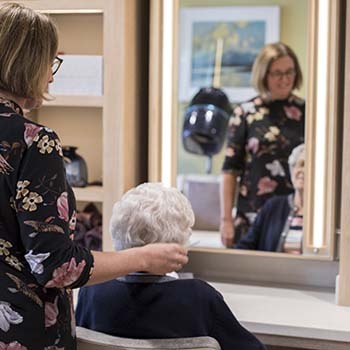 These are designed to help prospective residents and families make an informed choice when considering different care options, and can be a valuable source of information for many people researching care homes. 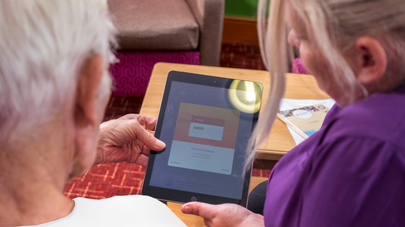 In the following guide, learn what the CQC is, how they assess the performance of care homes, including Anchor’s, through their CQC ratings, what these ratings mean, and how you can find and read CQC inspection reports online for yourself. Once a care provider receives a rating from the CQC, they’re legally required to display it in a clearly visible way, both physically in the home and on their website. This allows members of the public to easily identify how a service’s performance has been rated, and holds services accountable for the standards they deliver. What are the CQC standards for care homes? 1. Is a service safe? Is the care home offering high standards of safety and security for all the people in its care? 2. Is a service effective? Is the home’s care delivering the best possible outcomes for its users, following all the latest best practices and evidence, and offering high-quality treatment and support for all? 3. Is a service caring? The CQC looks at whether residents are treated compassionately and kindly, in a way that respects their rights and treats them with the dignity they deserve. 4. Is a service responsive to people’s needs? Are residents receiving individual treatment that’s right for them and tailored to meet their unique needs? 5. Is a service well-led? Does a home have strong leadership, with a management team who are keen to deliver quality and put people first? As part of this, the CQC looks to identify whether a home’s management is promoting values like learning, innovation, openness and fairness for all. What ratings are given and what do they mean? The CQC awards four different levels of ratings. Each of the five criteria explained above are rated individually and then a service receives a rating for its overall performance. This is the highest level of recognition that the CQC awards, meaning that an aspect of the care provided or the care service itself is performing to a truly exceptional standard. An Outstanding care home, for instance, would be considered one of the best care homes in the UK. At Anchor, we’re delighted that eight of our care homes have received Outstanding CQC ratings – more than any other residential care home provider in the country. 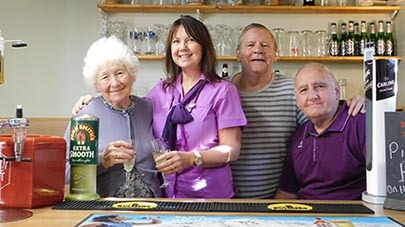 It’s a testament to the passion, commitment and innovation of our teams across England, the range of the high-quality activities and first class facilities offered by our homes (including cinemas, fine dining, themed areas such as pubs and craft rooms) and the relationships they build with the local communities they are part of. We’re really proud of the CQC’s recognition of our hard-work. When a service receives a Good rating, it means that standards are high across the board. Usually this will be the result of factors like excellent leadership, highly attentive and supportive care, and overall effectiveness. The majority of Anchor care homes receive this rating. When a service is given a Requires Improvement rating, it means there’s at least one area in which it isn’t meeting the CQC’s expectations. The CQC provides thorough feedback after its inspections, and clearly indicates what needs to change for ratings to improve. An Inadequate rating means that a care provider is failing to deliver a quality service. What happens when a service fails to meet the CQC’s standards? When a service fails to provide the necessary standards of comfort, safety or treatment, the CQC steps in to regulate the service. They work with both the provider and other partner organisations to ensure that action is taken to quickly improve the service. How does Anchor respond to Inadequate ratings? At Anchor, we take a ‘no surprises’ approach to maintaining the standards of our homes. That means we continuously keep an eye out for things that could have an impact on our services, and take all the necessary steps so that we can confidently meet any challenges that could arise. If one of our homes receives a ‘Requires Improvement’ notice, it will already be well into its improvement journey. One example of this is when a home manager leaves or retires. Changes like this can lead to periods of transition as staff adapt to new ways of working in order to deliver the same ‘Good’ and ‘Outstanding’ care as before. We prepare well in advance to ensure that adjustments like this are as smooth as possible. Once all of the required changes have been made, we get back in touch with the CQC so that they can re-inspect the home. They’re then able to check that standards are back as they should be and adjust the home’s rating to reflect it. How are CQC ratings published? All services regulated by the CQC are legally required to display their latest CQC ratings in a clearly visible and legible way. This means you should be able to find CQC rating information both on a service’s premises and online. To help make ratings as clear as possible, the CQC offers posters that services can use. Alternatively, services can make their own displays, but they have to ensure that they’re as clear as those that are provided by the CQC. Specific guidelines also apply online to ensure the public can find the date and outcome of the latest inspection on the provider’s website as well as a link to the full report on the CQC website. At the same time, full CQC reports can all be accessed and read on the CQC’s website: www.cqc.org.uk. Simply use the search form to find the service you’re looking for. You can read a brief overview of the service’s latest performance written by the CQC inspector or download the full report by clicking ‘Download CQC inspection report PDF’. The CQC website gives you the option to browse all rated services and filter them by their overall performance. This means that it’s a great way to find services in your area that provide the high-quality care that you and your loved ones deserve. 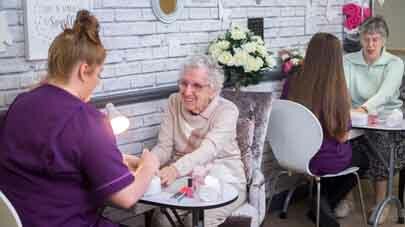 Find out about each of our eight Outstanding care homes and why the regulator highlighted each as performing to a truly exceptional standard on our website here. We have also interviewed a manager of one of the homes, Mary Hardy of Birkenhead Court, to find out how she and her team deliver outstanding care to residents. Read Mary's blog here.